Upscale hotel chain Radisson Blu, has rolled out TME’s MM7000 Combined Temperature Monitoring System at 12 of its London hotel restaurants. Imagine instantly recording the temperature of everything in your kitchen: fridges, freezers, ovens, food deliveries - even an individual burger or plated meal - all in a flash: no need to write anything down or key in data, just scan a barcode and move on. Add to this, the knowledge you will receive instant alerts to out of temperature events across multiple sites, and you begin to see the potential. The MM7000 System offers integrated paperless spot checks AND 24 hour monitoring, pairing handheld barcode scanning thermometers with fixed wireless radio monitors. Results are tracked remotely across a number of sites, with problem temperatures communicated via Bluetooth or radio signal both on-site and off-site via on-screen prompts, audio visual alarms, text and email. How does the system compare? Other paperless recorders still rely on screen input, increasing time, cost and the potential for human error. Plus their pre-set menus don’t offer the flexibility of personalised barcodes. Barcodes are universal, free and easy to produce, and can include high/low alarms and onscreen prompts. Unlike others, TME’s MM7000 Bluetooth Barcode thermometers also record with or without Wi-Fi connection. Open source software and compatibility with commonly used office database systems makes the system easy to manage and integrate. Its modular approach, involving interchangeable temperature probes, is suitable for all commercial kitchen applications – from sous vide cooking and regeneration to cold store monitoring and goods-in. Depending on operation size, costs per site can be as low as £450 for a fully integrated system. Want TME to contact you with more information? TME exhibits specialist solutions to improve NHS legionella risk management operations at Healthcare Estates 2018. 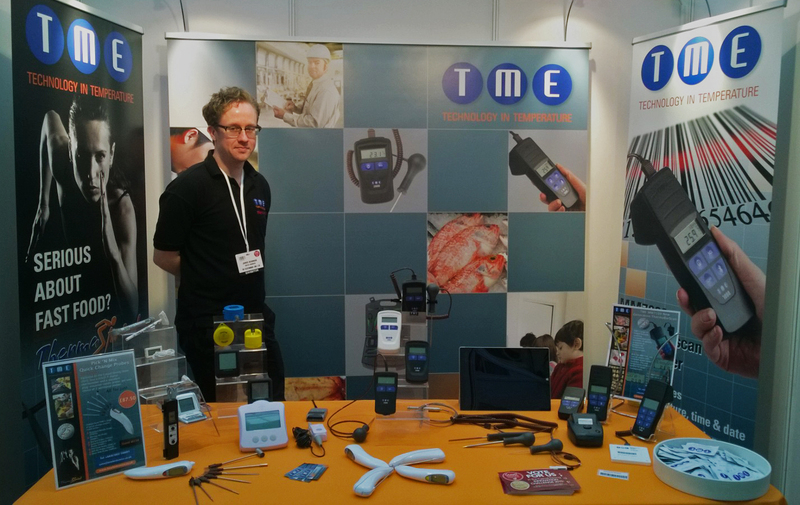 UK thermometer manufacturer, TME, returns to Healthcare Estates 2018 for the third year in a row, with exciting news about the way UK hospitals are using its specialist legionella solutions to improve the data integrity of their legionella risk management operations. 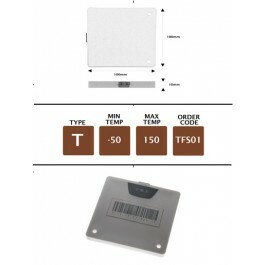 TME’s MM7000-2D Barcode Scanning Thermometer records not only temperature, time and date but also the exact identity of each location, by scanning its unique barcode. This paperless approach eliminates human recording errors, and providing an accurate audit-ready temperature log for every fixed water asset - calorifier, tap, shower, water tank etc. TME’s TCWALLPORT is a low-cost, wall-mounted thermocouple monitoring point designed for recording the temperatures of hard to reach water assets eg awkwardly situated calorifier feed and return pipes, boxed-in taps and showers, and high-level storage tanks. Combined with a high accuracy thermometer from any of TME’s MM range, the system produces an instant temperature reading from up to 20 metres away. • KM08 Shower Probe with inbuilt collection ‘cup’ for simultaneous temperature sensing. H&C EXPO is a great opportunity for TME to showcase its innovative MM7000-2D Barcode Scanning Thermometer to leading names in the hotels, restaurants, catering, hospitals and education space. We will arrive in style with our vintage display campervan all kitted out with the latest innovations in temperature technology. This new event focusses on how we can all play a part in safeguarding the future of our sector. We know we live in uncertain times but we also know how resilient and innovative our industry can be. H&C EXPO has been developed by speaking to the industry to see what it wants from its future, resulting in an exciting programme that explores what’s new and current in the industry and how we can shape what lies ahead. We will be using the event as an opportunity to contribute to this debate and to showcase our innovative range of catering thermometers, data loggers and probes. It’s free to attend by registering here. TME’s second generation Barcode Scanning Thermometer is the next big step in temperature recording, now with 1D & 2D barcode scanning for enhanced product/location data capture, and housed in a new waterproof case. A compact, hand-held device delivering an all-in-one paperless solution, and compatible with a wide range of temperature probes suitable for all industries. Scans 1D&2D barcodes from paper, plastic cards, mobile phones, LCD displays. • Compact, IP65 waterproof case with protective rubber boot for hard-working environments. • Large clear LCD temperature display, also showing visual alarms and corrective action prompts. • Mobile storage of up to 1,000 readings with a choice of Bluetooth or USB data upload. • FREE software for exporting data (CSV/Excel), translating barcodes and assigning alarms. Businesses looking to cash in on the latest Black Friday deals can take advantage of a tasty little offer from TME Thermometers this year. Leading handheld thermometer manufacturer, TME, is giving away a FREE temperature probe worth at least £30.50 with every MM2000 thermometer purchase. Shop here >> TME’s Black Friday offer is available exclusively through the company’s website www.tmethermometers.com which has an extensive online shop with a choice of delivery options. MD, Tom Sensier: “The sale is already live and will run for as long as stocks last with no limit on individual orders, so if you want to save money on the most reliable thermometer kits on the market, don’t hang about.” So what’s on offer? 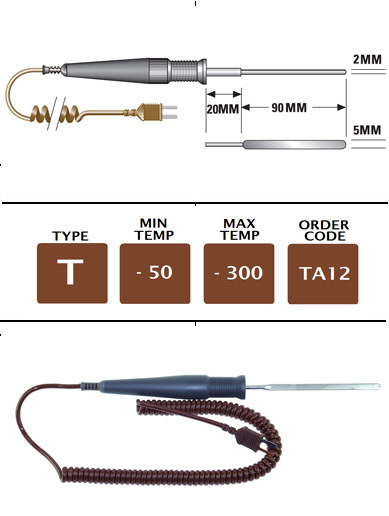 TME has selected thermometer and probes. The dishwasher-safe TP05 Temperature Probe with food grade stainless steel needle and super-fast 3 second response is the perfect partner to its waterproof MM2000 High Accuracy Thermometer with protective case. Buy the thermometer and the probe comes free of charge. Shop here >> “This combination provides a strong, waterproof solution for fast, hygienic spot checks every time. We know it’s going to be a popular offer with our regular customers but it’s also a great opportunity for newcomers to try out a high quality thermometer - perhaps for the first time.” Need a different probe? No problem at all with the versatile MM2000 which uses interchangeable probes. Choose from any of these 4 probes and get the same Black Friday deal. TP05 Needle Probe - Save £30.50 KM03 Immersion Probe - Save £32 TA12 Flat Food/Pallet Probe - Save £35 KS07 Surface Probe - Save £36 Why Black Friday? Accurate temperature testing is at the heart of so many businesses yet many of our customers tell us that these are the items they often run out of, can’t find – or forget to stock up on until it’s too late. “That’s why we decided to get on board with this year’s Black Friday event – a perfect opportunity for businesses to stock up on quality equipment at a bargain price, ensuring they have all their temperature spot checks secure and in place for the whole year ahead.” Shop here >> TME Thermometers is a UK manufacturer, family owned and managed by Tom and Danielle Sensier, with over 25 years in the industry. All their thermometers and temperature probes are made in their UK factory in Goring-by-Sea, West Sussex – 100% British made, exported worldwide. Looking for a Quick Fix? Miniature Quick Connect Probes provided a quick fix for visitors to the TME stand at Sensors & Instrumentation 2017. MD, Tom Sensier: “Visitors were asking for a quick and easy way to fit temperature probes without bulky head assemblies, and these clever little probes provided the best answer.” TME’s Quick Connect Probes use a moulded-on terminal assembly, which is easily fitted to the sensor wire via simple screw terminals, and is supplied with a cable hood to inhibit ingress into the cable terminal block. Compared with normal head assemblies, they are much less subject to mechanical stress - ideal for high vibration areas such as engine monitoring - and are suitable for numerous process control applications. Total encapsulation around the sensor ensures a waterproof seal also maximising strength and durability, and other benefits include high accuracy, a wide operating and measuring range and fast response. Quick Connect Probes are suitable for a variety of applications, with options for either general purpose/immersion into liquids or sensing air/gas temperatures. Watch this video demonstration to see just how easy it is to fit a Quick Connect Probe. 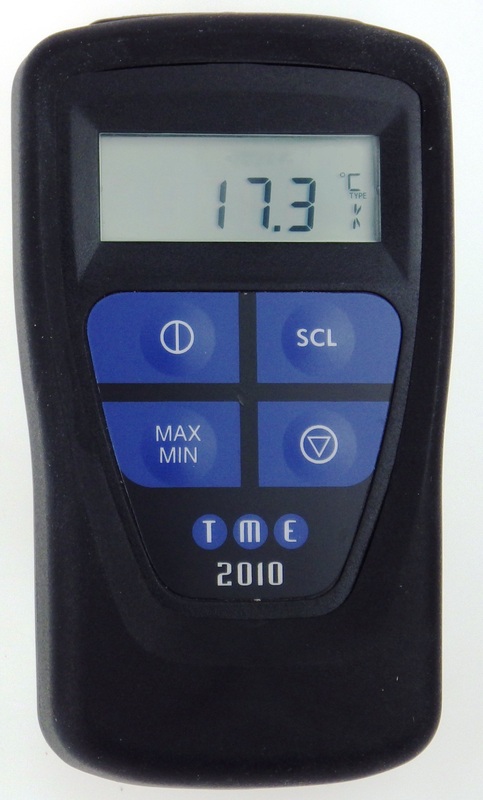 TME Thermometers are UK manufacturers of sensors and instrumentation for all temperature applications and industries. 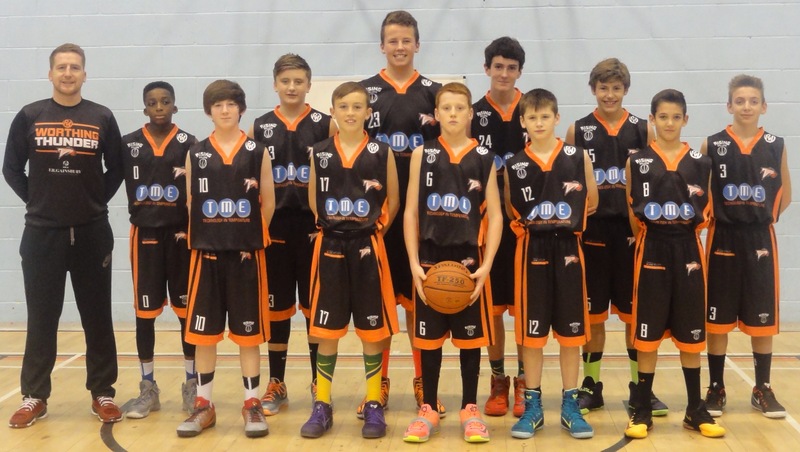 TME brands are 100% British made and exported to more than 60 countries worldwide. Choose from over 600 listed products or ask about our bespoke design and manufacturing service. Throughout 2017 British thermometer manufacturer, TME, is offering Kit of the Month deals on a selection of quality thermometer kits from its extensive temperature test and measurement range. By combining popular combinations of thermometers and probes at a lower cost, TME kits already offer great value for money all year round. Additionally each Kit of the Month deal attracts 10% discount extending a further saving. Offers change each month and will be publicised on the TME website www.tmethermometers.com and also sent to anyone signing up to TME’s monthly newsletter. To date Kit of the Month deals have been offered on a variety of equipment from budget food kits for low cost HACP to high specification barcode scanning thermometer kits and specialist legionella temperature kits. For more details on TME’s Kit of the Month offers visit www.tmethermometers.com or to sign up to TME monthly newsletters email your request to sales@tmethermometers.com or talk to our friendly sales team on 01903 700651. Wish you could have your cake and eat it? Integral Timer on Thermometer Display with 1 and 2 minute countdown buttons for hot and cold running water. Compatible with all K-Type probes with mini plug. High Accuracy and wide temperature range. Available for just £95 or as a complete kit (CLEGK1) with the fully waterproof BSK01-S Dual Purpose surface/immersion probe suitable for both liquid and pipe surface measurements for just £120. 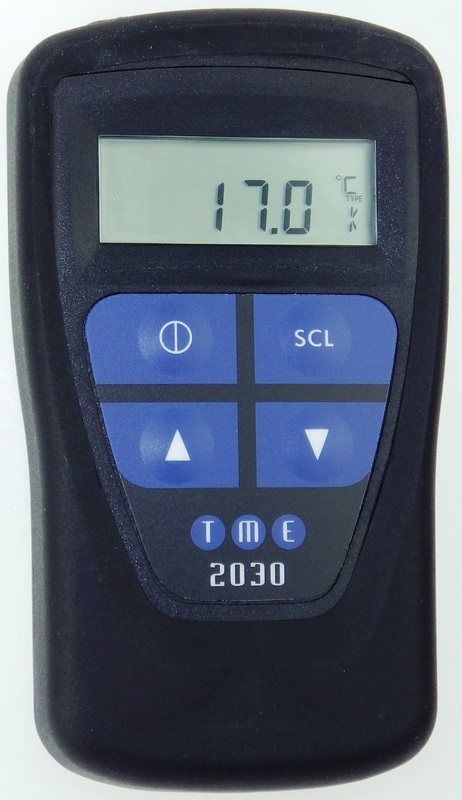 TME Legionella Range The MM2008 is the latest in a wide range of Temperature Monitoring Equipment for Legionella Water Temperature Testing designed and manufactured by TME. 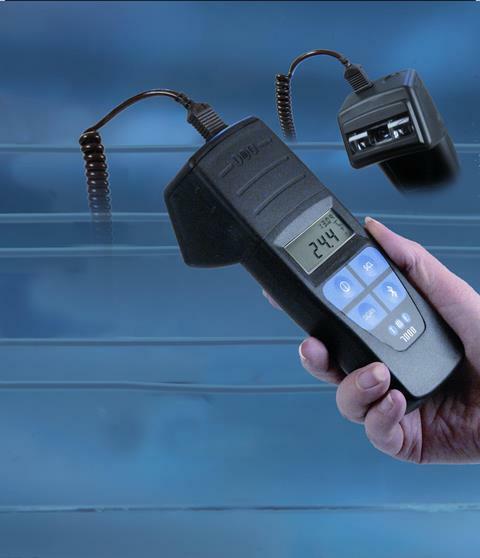 Other unique products in the range include TME’s low cost TCWallPort monitoring system for spot checks on difficult or hard-to-reach temperature points with no loss of accuracy for up to 20 meters. 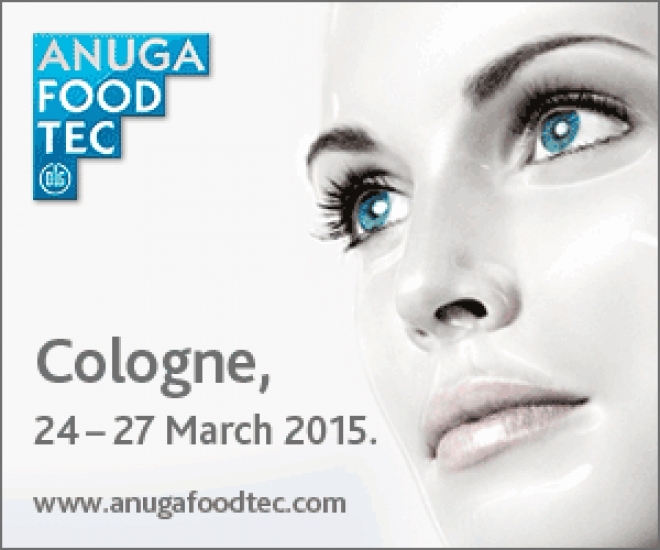 Is Your Business Harnessing the Potential of Barcode Temperature Technology? http://www.tmelectronics.co.uk/mm7000-thermobarscan-thermometer-with-bar-code-reader.html UK thermometer manufacturer, TM Electronics (TME), is advising process engineers and managers to harness the potential of barcode temperature technology to improve their temperature testing and monitoring regimes. 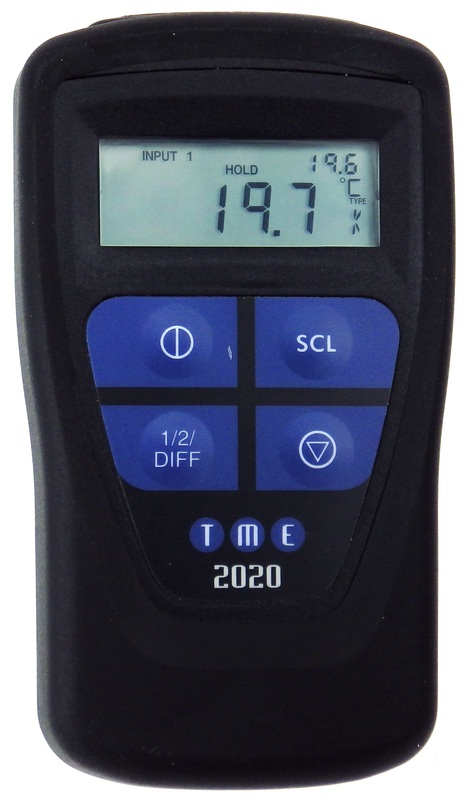 TME’s flagship handheld thermometer, the MM7000 ThermoBar Scan, harnesses barcode technology to deliver sophisticated temperature data across a range of industries and applications – from food manufacturing and food service to industrial processing, water temperature monitoring and logistics. Why use barcodes? · Barcodes can be displayed on any product, appliance, test point or ‘menu’. · Barcodes can be generated easily using standard software and print fonts; · Barcodes can be 100% bespoke – better than arbitrary, pre-set product descriptions; · Barcodes capture data immediately – a much faster option than scrolling through countless pre- set product descriptions. How does the MM7000 work? 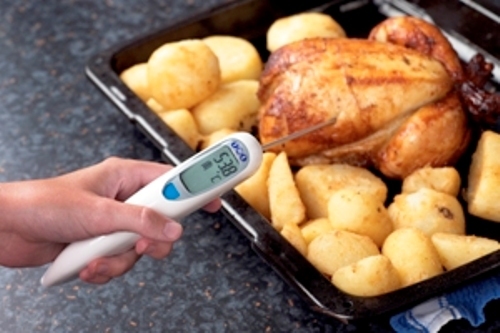 The MM7000 is a robust, high accuracy thermometer with considerable added value: as well as taking temperatures, the device scans the barcode of the corresponding temperature point being tested – for example individual food items or batches; appliances like ovens or freezers; any fixed temperature asset such as a water tank or tap. 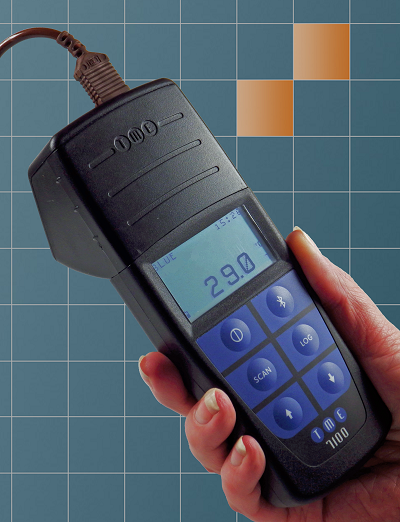 The instrument then records the temperature, time and date of each test - and for complete due diligence, the unique serial number of the instrument itself alongside the barcode. The MM7000 is also Bluetooth enabled allowing data to be downloaded to PC, PDA and Smartphones. New features The MM7000 now features a new alarm function to help organisations deal with temperature failures as soon as they happen rather than after the event. Managers are able to programme multiple instruments with the same critical alarm values giving an instant visual indicator of a Low or High temperature result. The instrument is also available with a USB connection if preferred. What we do: TME Thermometers (TM Electronics) design and manufacture high quality temperature test and measurement equipment for a wide range of industries. TME's innovative designs produce accurate and robust thermometers and sensors that are easy to use. TME thermometers, temperature sensors and probes are used in facilities management, HVAC, food manufacturing, catering and hospitality, building maintenance, retail and the cost sector. Industry specialists: TME is the industry leader in water temperature testing and monitoring equipment for the prevention of Legionnaires. disease. TME specialises in high-quality handheld catering thermometers and dishwasher-safe food probes and is an established member of CESA, the catering equipment suppliers association. TME is an FPAL registered supplier, specialising in rugged, waterproof instruments very suitable for the oil, gas and marine industries. TME product range: Over 600 different lines, including 100% waterproof thermocouple thermometers, low-cost pocket sensors, robust probes, data loggers for fridges, freezers and transportation, wireless logging systems, temperature barcode scanner / reader, portable infra-red calibration kits, water-safety kits for legionella risk prevention and fine wire sensors, Bluetooth thermometers and printers, stainless steel wall-mount holders and probe wipes. TME also offer a very competitive repair and calibration services, including our unique low-cost Thermometer for Life scheme. Design experts: TME Thermometers (TM Electronics) offers 25 years. experience in design and manufacture with particular expertise in tailor-made design as well as off-the-shelf products. We can manufacture to your own specification, including own-branding if desirable, and our sales team are always happy to advise on unusual applications. Worldwide distribution: TME Thermometers (TM Electronics) supplies directly to a wide range of industries throughout the world, and also actively encourages new relationships with overseas distributors in all countries. Most pubs and restaurants already use colour-coded chopping boards to prevent cross-contamination between food groups. But why splash out on colour-coded thermometers when there’s now a much cheaper method available? TME’s NEW CA2005-PK temperature kit combines a single, high-accuracy HACCP compliant thermometer with six colour-coded, waterproof needle probes – detachable for cleaning so perfect for running through the ware washer or dunking in the sink. More hygienic than a colour-coded pen thermometer, the new kit’s also much cheaper at around £130 - or if you don’t want all six colours, a real snip at only £15 a probe or £65 for the single thermometer-and-probe combo. Do your thermometers tend to go missing or get broken? TME’s CA2005-PKW is the ideal solution: a complete wall mount kit containing a thermometer and six probes stored in a hygienic colour-coded wall holder – all for and unbeatable £144. A single input Thermometer with an integral 1 minute & 2 minute timer. This Thermometer is primarily developed for use in Legionella risk management and offers reassurance that the correct temperature is taken when monitoring hot and cold water temperatures.